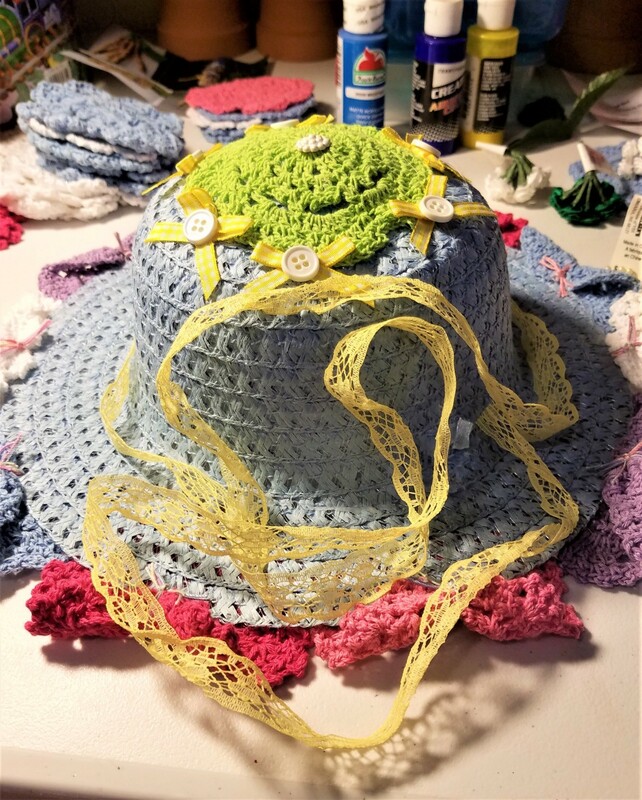 With a Dollar Tree hat, buttons, lace ribbon, and mini doilies, you can make this. And it looks so pretty on your door! I started out with an idea and went from there. 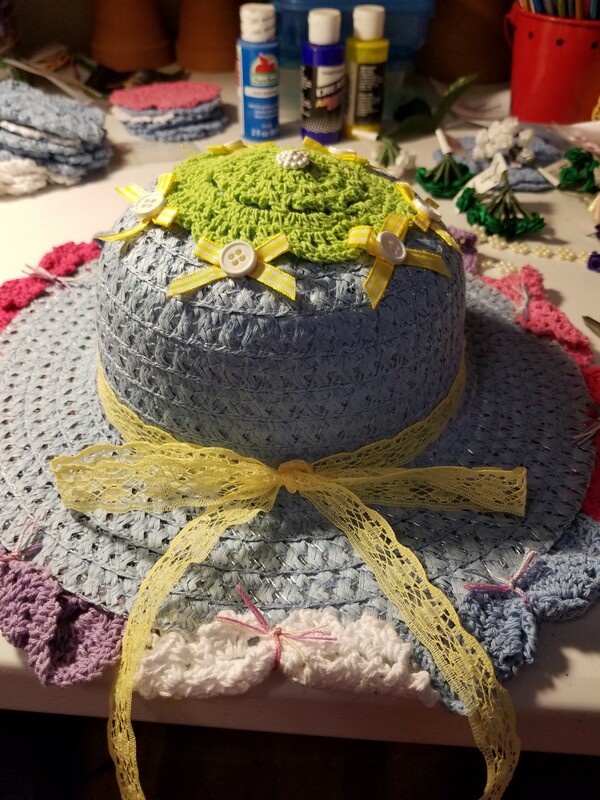 So I cut the ribbon from the hat, and gathered my doilies and other supplies. 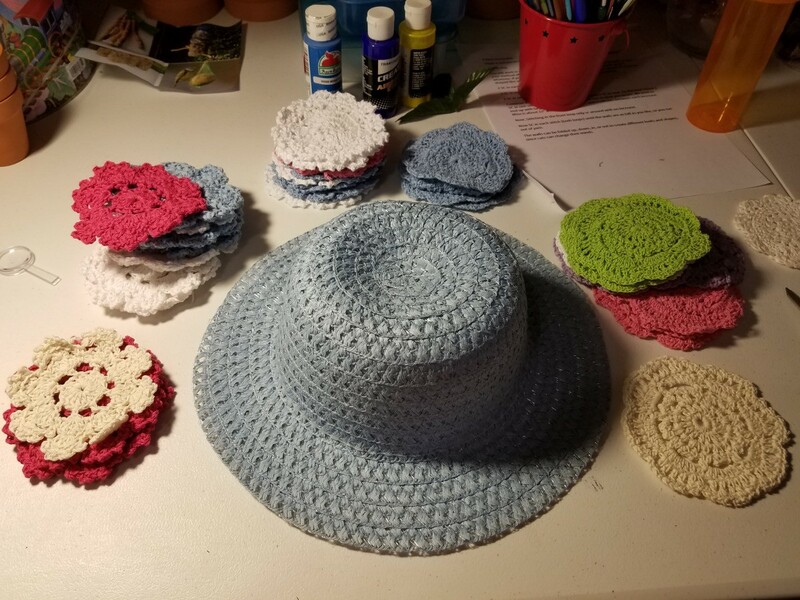 I wanted the doilies to be the same style, but that didn't work. Also, I wish I had not put the pinks so close together, but live and learn. 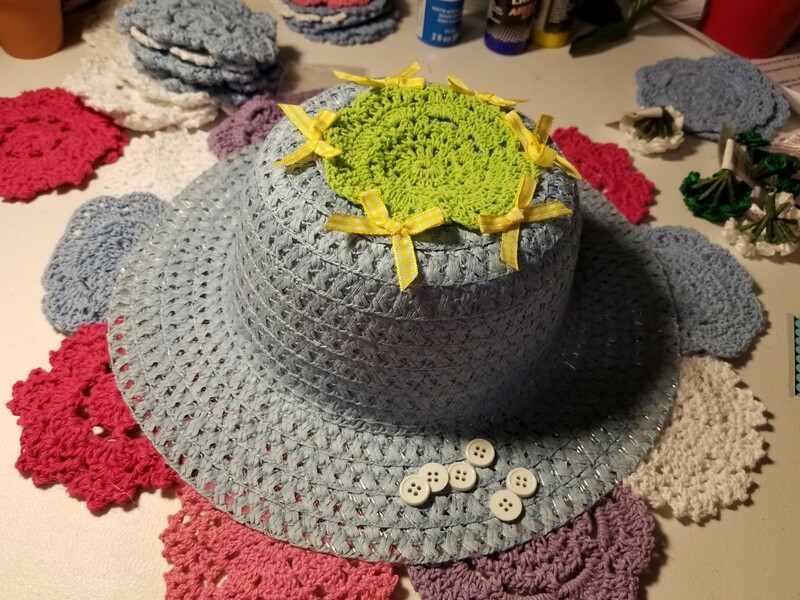 Once I knew all 10 of them would work, I glued them to the underside of the brim, about "mid doily". 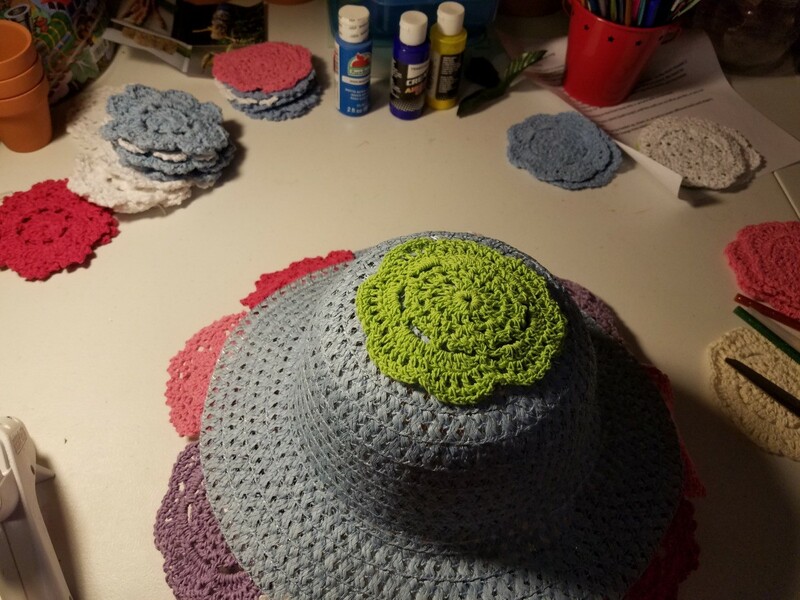 I wanted to represent all the spring colors, but only had 1 green and all the other colors had a twin, so I put it on the top. 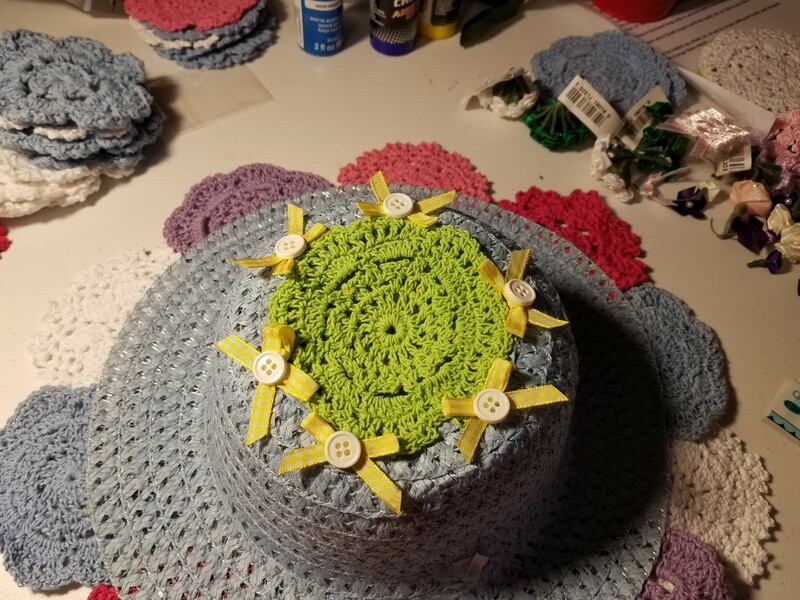 Once the glue cooled, I found 6 perfect little yellow ribbons and attached them, adding buttons. 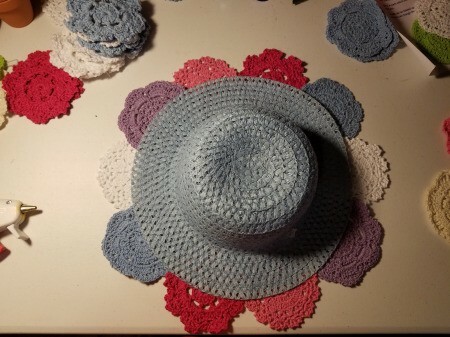 I realized the doilies were going to "flop" over on the top of the hat. So, I decided to just draw up the centers. That is when I realized they looked like butterflies! What a cool "discovery"! 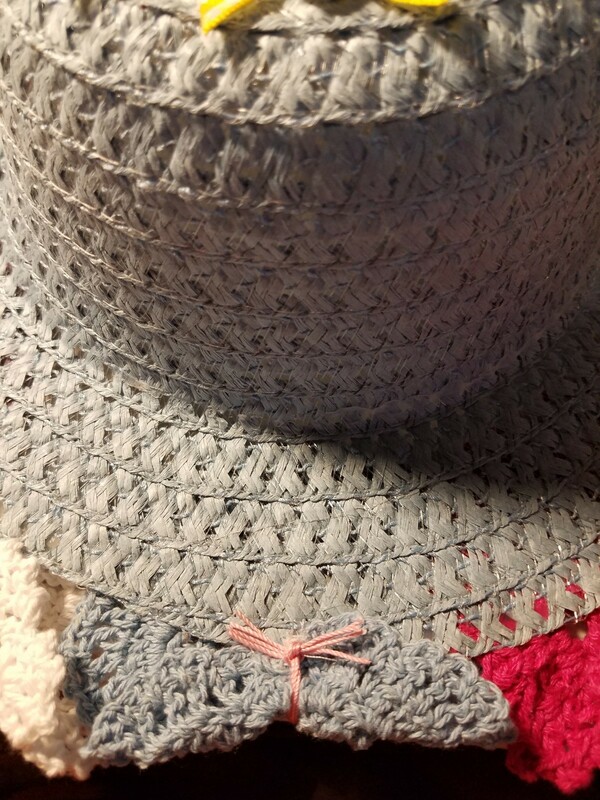 I initially used thread and a needle till I switched over to crochet thread. 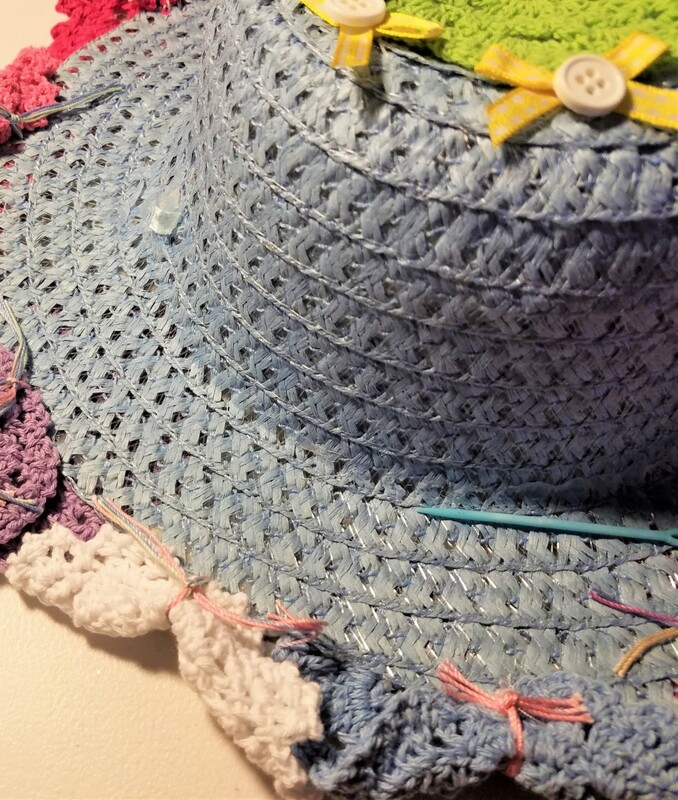 I used double crochet thread for each and then once cinched, I trimmed the thread to look like the antennae. Next came button on the top and the lace. 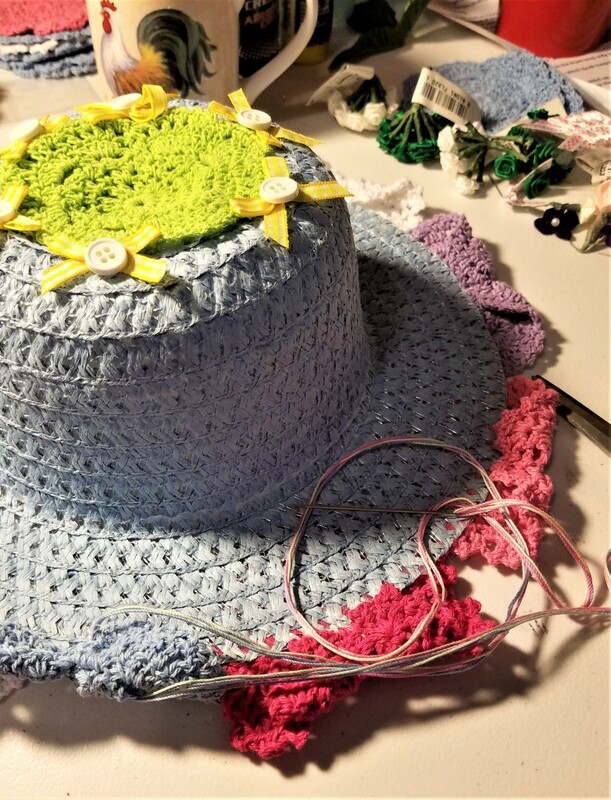 I wanted to crochet a band but sometimes the body doesn't have the 'umph' to do what the mind wants to. I still think it came out really cute. N-JOY!! Great job Sandi. 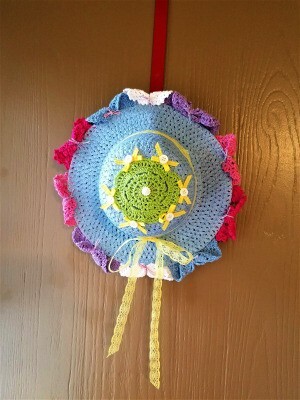 Perfect for Spring :) So beautiful! 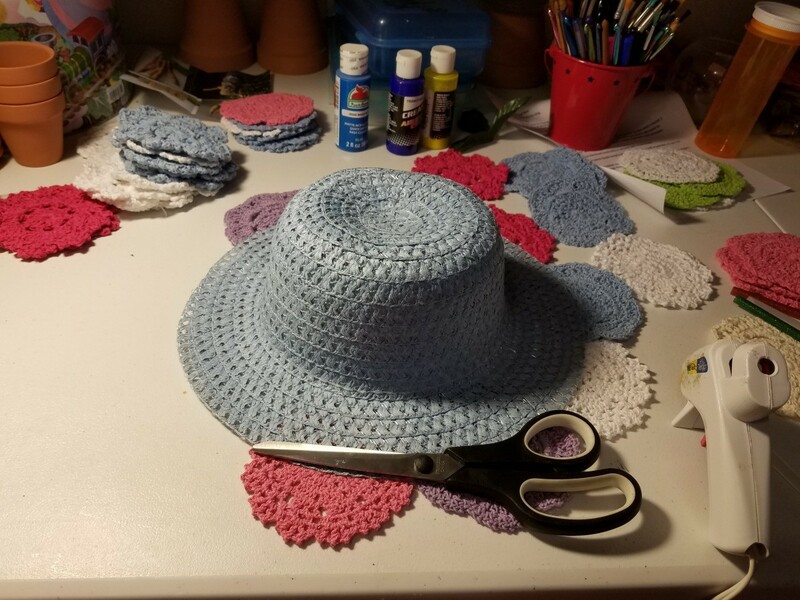 Nice job Sandi - very pretty and just in time for Spring. I love refreshing items on my doors. This looks like a "movie watching" project. Now where is my lap table? Aren't you sweet! Thanks. Yes, as long as you sit close enough to plug in your glue gun! !